You should consider having your carpets professionally cleaned once every 6 months. 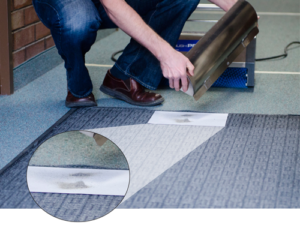 A professional carpet cleaning company can use their expertise and advanced technology to provide a deep clean that traditional vacuums and spot removal treatments cannot. No matter how hard you try, you can’t match the deep and thorough clean that a professional carpet cleaning company can provide. Routine maintenance on the homeowner’s part is very important, but there is only so much you can do at home with a basic home vacuum. Deep vacuuming and routine vacuuming in combination with semi-annual professional carpet cleaning from Beach Walk Cleaning Services will extend the lifetime of your carpet and keep your investment looking as beautiful as they day you purchased it. Give us a call today at 843-254-2420 for a free quote.